Big news. Thanks to HPP reader autumnist for this savory dish. 1) Why was their license suspended? 2) What does "sane management" mean? The weird flip flopping of the name, the constant tear-out and remodel/rebrandings... that was the owner doing that. If the same guy owns it I can't see how very much is going to change. The sign in the window looks like something he would do. (In fairness, I've met him and he's actually a really cool guy, but I don't understand his business decisions). 3) Is the rubber chicken guy going to take the fall for this? 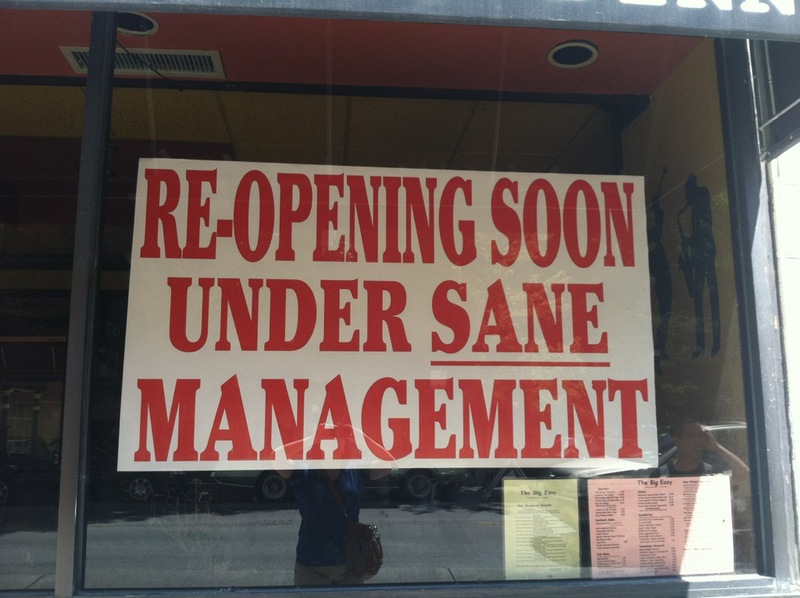 I agree, the sign seems to lead one to suspect the management is not changing. I'd like to suggest a family-style Mexican restaurant, or a Somalian place. I hope that all Hyde Parkers who take pride in their World Class City, will join me this Saturday, August 25, 2012 at 9a.m. underneath the Metra Tracks at the 53rd Station on the south side of the street where I will have my broom, dustpan, and garbage bags to clean up that small area. It should take less than 30 minutes. There is direct correlation between clean streets and safe streets. I hope that you'll join me. the way you used to run your restaurant was insane? Are we to suppose that mental states may be assumed and retired like Orly's menu concepts? The two things strike me as being of different magnitudes. 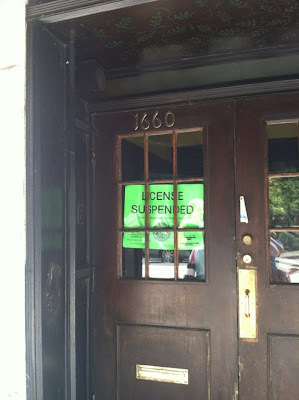 Perhaps we can hope for an upgrade to "license revoked" instead of "suspended." That's the only thing that might be able to bring sanity (that is, new owners) to this place. A clean start in so many ways--and with it, another blow to Hyde Park's distinctive "It is your privilege to be in my lackluster, conceptually confused and otherwise completely unremarkable place of business" customer-service attitude. Or maybe my hopes are getting carried away. 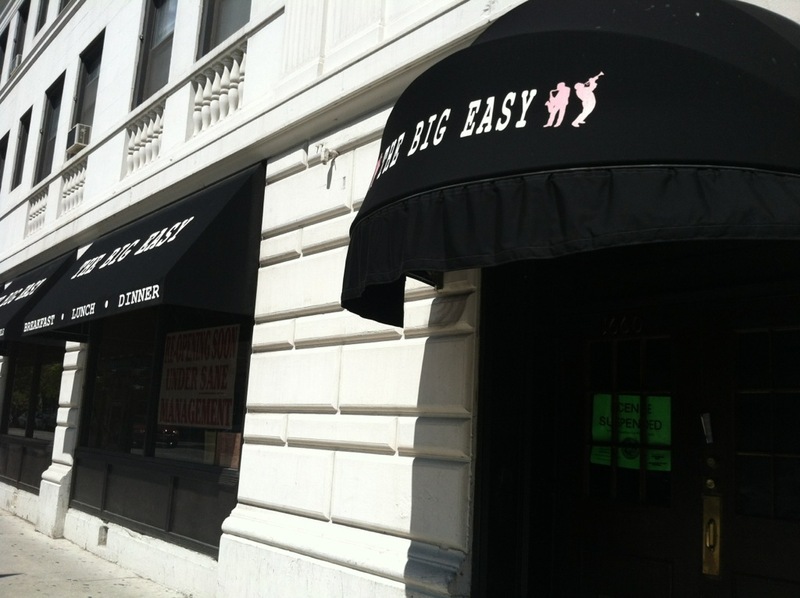 The latest issue of the Herald posted online has a small blurb about The Big Easy, saying a bad fridge is the reason for the closure/delay in reopening the restaurant. The article quotes one Mr. Shapiro. Chicago Pop, per usual, was right on the money. Matt has dug up some truly disgusting details about why Orly's/Jalapeno's/The Big Easy was closed (which of course The Herald did not pry into at all). It was more than a refrigerator problem.